الخيار الأفضل للحصول على المتعة والاسترخاء، Hotel Kaveka يقع في منطقة رائجة من أفضل مناطق المدينة. يمكن من هنا للضيوف الاستمتاع بسهولة الوصول إلى كل ما تقدمه هذه المدينة النابضة بالحياة. كما يمكن الوصول بسهولة إلى عدة معالم سياحية قريبة. كما يقدم Hotel Kaveka الكثير من الخدمات لإغناء رحلتك في المدينة. يقدم العقار مرافق مخصصة لذوي الاحتياجات الخاصة, تسجيل وصول/خروج سريع, تخزين الأمتعة, واي فاي في المناطق العامة, صف السيارات لضمان الراحة القصوى لضيوفه. في Hotel Kaveka غرف نوم يزيد عددها عن 15 صممت بذوق وعناية لتوفر لك كل وسائل الراحة . بعضها يحتوي أيضاً على اتصال لاسلكي بالإنترنت, غرف لغير المدخنين, مكيف هواء, خدمة الإيقاظ, مكتب. يمكنك الاستمتاع بالأجواء المريحة التي تقدمها شاطئ خاص, غوص, صيد السمك, حديقة, رياضات مائية (آلية) طوال النهار. استمتع بخدمات لا يعلى عليها وعنوان ذو اعتبار في Hotel Kaveka . Staff was friendly.The room was bigger than what it looks like on pictures posted on the net, we got 1 king bed and 2 small beds, perfect for 1 couple and 2 kids. The beach is small but there are nice public beach around. The cabanas are big bright and airy with huge windows letting in all of the light especially at sunrise. There are bicycles and kayaks on property as well as a small private beach area with chairs to sit by the water. The overwater restaurant with boardwalk is a fantastic breakfast spot. WiFi is very stable in the lounge area. All in all, a very pleasant stay and much more personal then some of the large chains. the place itself was fine beautiful views nice rooms just a little isolated the restaurant food was overly expensive but that's because there is nothing near by except a pizza shop down the road. Spent a week at Kaveka with 2 couples. Loved the bungalow RIGHT on a beach. Beach front is hard to find in FPolynesia due to the reefs surrounding the islands. Hotel has a small beach is on Captains Cove. While you could stay at an over the water location elsewhere, we opted for the beach and magnificent view of the ocean, lagoon (cove) and mountains all visible from Kaveka. Amenities were great in that kyacking in the lagoon was beautiful. You can snorkel right off the hotel beach, the coral not the healthiest, but enjoyed fish, eels and turtles. On several days, we'd ride bikes. One direction is either a short ride around the cove with a beautiful view (can extend to a longer ride to the next cove) or ride the other way to the small town for a meal or shopping. We had originally planned to rent a car, but decided not to except for one day to do a circle island tour on our own. Restaurants near by will come and get you or enjoy the good hotel dinners. Helpful staff!!! Had a wonderful time here. Loved the restaurant over the reef where we saw so many different fishes. Staff were very friendly, unlike the ones at Manava where we dropped in to have a look. Location is close enough to walk to the town centre plus Kaveka provides a free shuttle to and fro. 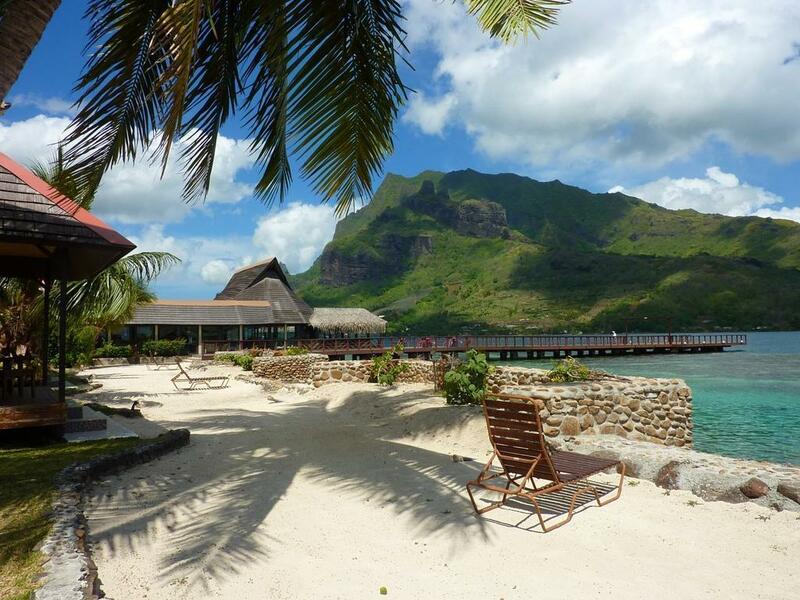 Very pleased we picked Kaveka to stay in Moorea! Kaveka is a simple resort but I found it amazing! It's nestled near the front of Cooks Bay:the views of the bay are stunning, even more out of this world when there's clouds and mist. Staff were lovely and helpful and would go out of their way to assist with info/booking tours etc Tim puts a smile on every guests face each day with his friendly manner.He brought me a bucket of bread to feed the fish at breakfast which was amazing.At the end of the pier is perfect for some quiet time and get lost in the beauty of your surroundings, a turtle surfaced in front of me adding to the zen. My bungalow was basic, no air con,little room but still comfortable-Would be better if there was a kettle.What makes up for the basic room was the resort setting and location.Very close to town and the tour boats drop you back to your doorstep.Be sure to check out Allo Pizza just down the road, foods great and owner is so lovely! Don't expect 5 star accommodation but be prepared for some of the best views!! We enjoyed our room, but we experienced poor customer service. We wanted to rent a scooter and gave them notice and the receptionist forgot, then she tried to hire us a car and told us there were none- and we had to remind her again that we wanted a scooter- just book things yourself- don't do it through reception. We rented bikes for a day which was good- but would be handy to have some to just borrow for free to go to the shop as its 15mins walk in the heat! We only ate at the restaurant once and had to wait over an hour for our food (was New Years eve) i felt they should have brought over extra water for free or something as we and several other guests were sat for a long time as there was a wedding going on- if they couldn't handle the service they shouldn't have opened the restaurant as well as catered a wedding! Having said that we had a warm welcome and liked our room which was cleans everyday. Good place to stay if you rent a car or scooter for the whole time. 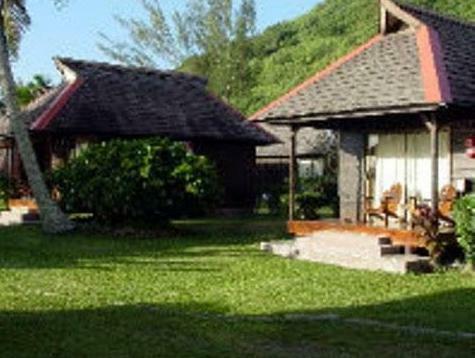 We stayed at Kaveka several nights and were really happy with our decision to spend most of the time in Moorea at this place. 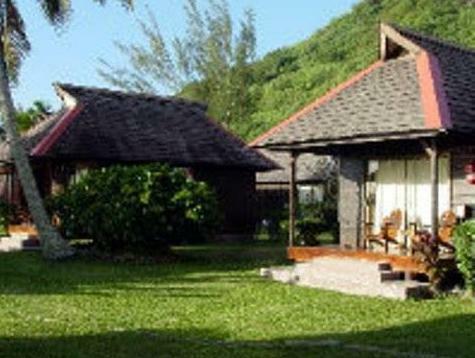 The price is quite ok for French Polynesia and the bungalow was nicely decorated in polynesian style. Rooms were quite modern and clean. 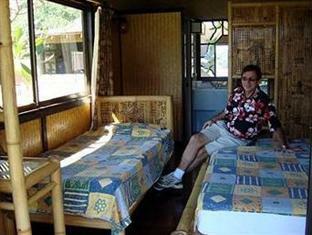 Staff was very helpful and we enjoyed the quiet atmosphere as there were not many guests around. We would definitely return to this place again in the future. It is possible to walk within 10-15 minutes to MAhareepa, where there are small shops, souvenir shops, restaurants, banks and a post office. The staff are great, friendly and act very fast with any enquiries. The grounds were very clean and location was great. The restaurant was great, everything we ordered was excellent. We booked two garden bungalows with air con. These rooms were clean and spacious. Kaveka has a good family vibe to it yet there was a range of travellers staying there and it was quiet and relaxing. We were supposed to stay in a higher priced resort but glad that we stumbled upon Kaveka. The location, facilities, restaurant and staff were all great. We will definitely stay here again and bring our kids too. Location, friendly staff, quiet, on the ocean, sunsets, and nice restaurant. The hotel is definetly great value for money. Only dissappoint was that the fan was too weak so room it was often hot at night, we frequently woke up in hot sweats. Picturebook setting on Cooks Bay with friendly and obliging staff. 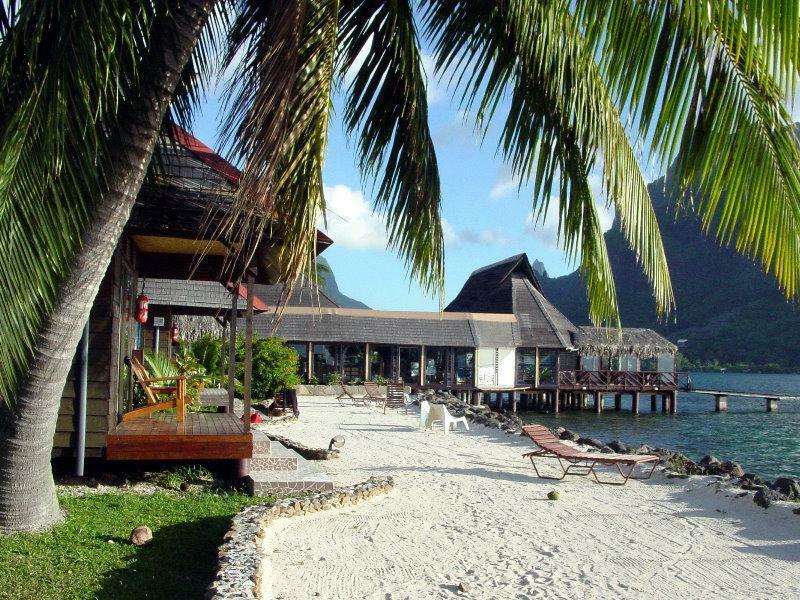 We thought this hotel was the best we could have booked on beautiful Moorea with an amazing location, helpful and friendly staff, with great food and a dining room looking out at the wonderful array of tropical fish. At night the pier was lit and the view was lovely. Snorkelling at the end of the pier was a highlight.